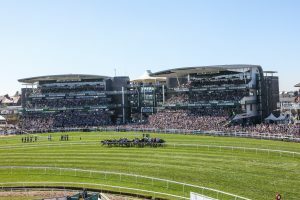 Police are encouraging residents in Aintree and Maghull to contact their neighbourhood policing team with any issues or concerns they have ahead of the Aintree Festival which gets underway next Thursday (4 April). The event runs across three days from Thursday, April 4 to Saturday, April 6 and with more than 150,000 race-goers set to attend, the community’s dedicated neighbourhood officers want to make sure residents experience minimal disruption. Community officers will speak to residents living in some of the busiest streets around the racecourse to let them know who they can contact if they experience any problems with issues such as car parking, litter and anti-social behaviour during the event. Letter drops will also be carried out in the local area. Despite the large crowds attending the festival, the vast majority of race-goers have a safe and enjoyable day and a multi-agency operation involving police officers from across the Force will once again aim to ensure this year’s event is no different. Community Inspector Duncan Swan said: “Firstly, I would like to say how grateful we are year after year to the local residents for their co-operation and patience throughout the Aintree Festival. Thousands of visitors attend each year and have a great time and I am sure this year will be no different. “We recognise that large numbers of people can have an impact on the local community and I want to reassure people that, as well as the policing operation for the event itself, my community team will be there to address any concerns residents may have. Aintree and Maghull residents can contact their neighbourhood team by sending an email to B.Community.Hub.1@merseyside.police.uk. Year of the Volunteer: Become a clean-up champion!